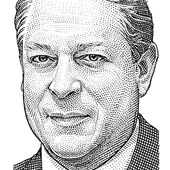 We may know him as the former veep or as the climate change gadfly, but these days Gore is chairing a partnership that is focused on a new approach to investing. He is also a senior partner at venture capital firm Kleiner Perkins Caufield & Byers, a senior advisor at Google and a member of the Apple board of directors. You just don’t get much more Silicon-Valley-connected than that. Gore was elected to the U.S. House of Representatives four times and to the Senate twice before being inaugurated as the 45th Vice President, where he served two terms. He is the author of four best-selling books, and is the co-recipient of the Nobel Peace Prize. 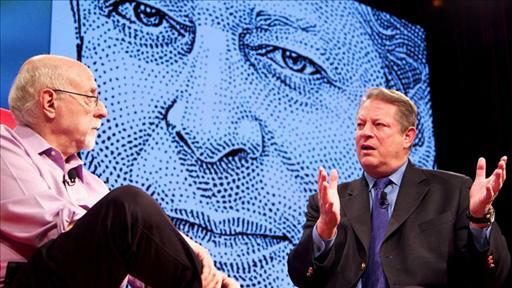 Al-Jazeera, the pan-Arab news network owned by the government of Qatar, is buying Current TV, the struggling left-leaning current-affairs channel co founded by Al Gore and Joel Hyatt, according to people familiar with the matter. Last Wednesday, Apple held a company-wide memorial for its late co-founder Steve Jobs. Today, the company shared it with the world. How Old Is This Internet Thing, Again?